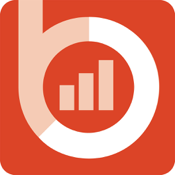 From BigTime®, the leading cloud-based time and billing software, comes a mobile app that revolutionizes the way you track time, log expenses and manage projects. 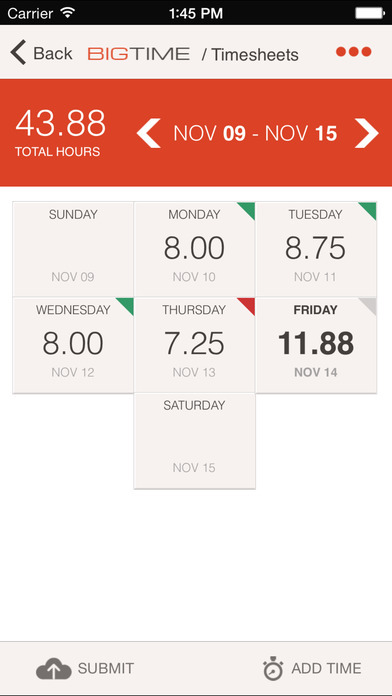 Introducing BigTime Mobile®, the iPhone app that puts BigTime’s pro-level time and expense tracking functionality into the palm of your hand. • Easily track your time, online or offline. • User-friendly format, with one-tap timers. • Fully customizable, with daily/weekly views. 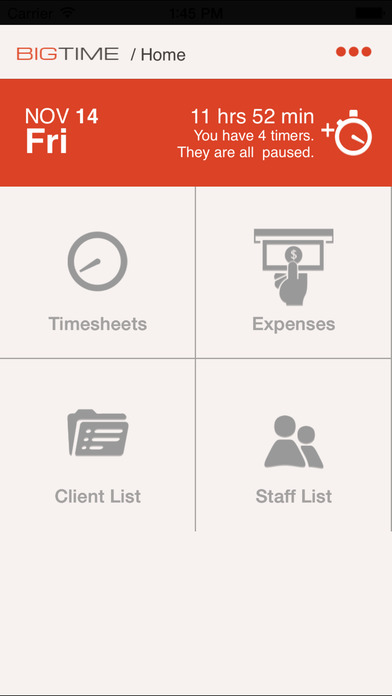 • Submit timesheets right from the app. • Links directly to QuickBooks. • Intuitive mail-like expense entry interface. • Log reimbursable expenses online or offline. 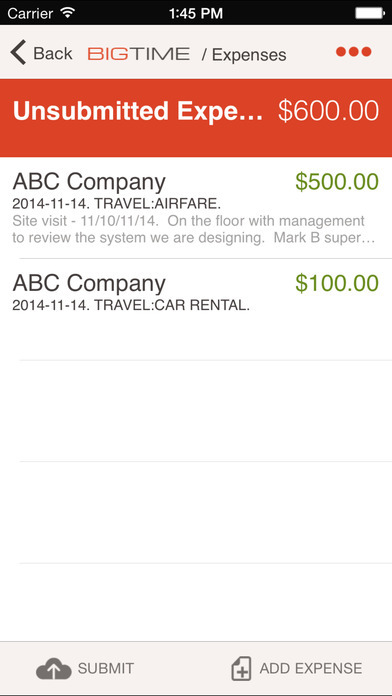 • Upload iPhone photos of your receipts. • Track costs by project, task, type and more. • Auto sync with web for instant backup. • Submit in app and link to QuickBooks. • One-tap access to your clients and staff. • Call, text or email clients right from the app. • Offline access to customer contact info. • Syncs with your existing BigTime account. • Gives you big picture of job/client data. With BigTime Mobile®, you can take your show on the road and never again be out of touch. Powerful, smart and easy to use, BigTime Mobile takes remote time and expense tracking to a whole new level — putting the most popular features of BigTime into one tiny package.